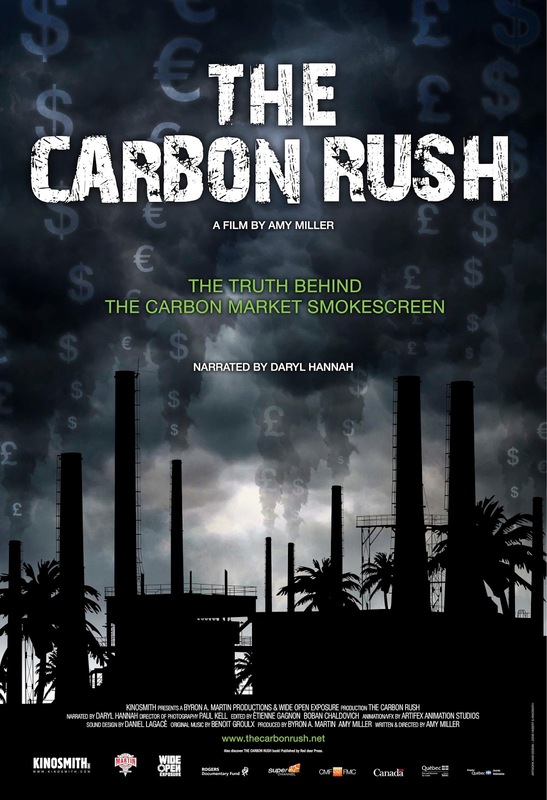 THE CARBON RUSH focuses on the suffering caused by carbon trading around the world and the failure of global carbon markets to stop climate change. Currently screened at over 50 Festivals around the world, receiving an Award of Merit, Opening and Closing Night Gala presentations, Amy Miller nominated for Best Emerging Director and winner of Best Screenplay. 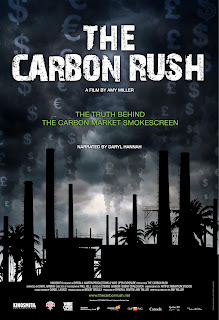 Check out the upcoming THE CARBON RUSH book from Red Deer Press to be released in December 2013. Currently playing in Canada on Super Channel and Tele-Quebec. Available in Canada through Kinosmith, Sales Agent Films Transit International Inc., U.S. theatrical distributor Gathr Films and U.S. Educational Distributor The Video Project.